Writing a reaction paper is not just about purely giving your opinion on what you have read or seen. If you are making a reaction paper on a particular book for example, you also have to tackle what the book is all about and what makes it different from the others. You then have to prove whether the author has succeeded in conveying his purpose or not. You can do this by analyzing the arguments presented in the book. And that’s the time when you can already give your opinion on how the book and the author have affected you. For more detailed tips on how to write a reaction paper, read below. A reaction paper shouldn’t exceed five pages. Just like any other forms of writing, it includes an introduction, body, and conclusion. As you read or watch the material, write down what you think and how you feel about it. 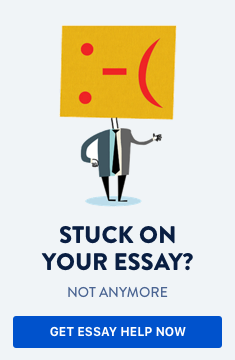 Your thesis statement should answer the questions: what, how, and why. Your reaction paper should then revolve around these points, leading to supporting details. In the introduction, provide an overview of what your paper is all about. You should state your topic, as well as the title, and the author or director of your material. Remember to mention your main points known as the thesis statement. The introduction should also include the date of publication or if it’s a film, mention where the movie has taken place. The body of your reaction paper can be described in more than one paragraph. But make sure that each paragraph supports your thesis statement. You can tackle your concern on the issue, and express your thoughts and feelings towards the author or the director’s point of view. You are free to agree or disagree on the author’s viewpoint. You can use examples, such as quotes taken from the material, to address the issue and prove your opinion. Summarize your paper in the conclusion. Here, you can restate your points and provide your overall assessment about the material. You do not have to conform with the author. Regardless of your stand, you have to justify why you have come up with that reaction. Remember to back up your opinion with evidence and do not simply summarize the whole context. As the name implies, a reaction paper expresses your reaction towards a particular film, book, significant event, situation, or anything in particular that should be under discussion. Aside from analyzing and evaluating the material, you also have to give your own judgement. It is more personal but you also have to make it formal for the audience.